As I sat and watched the first snowfall of the season (I live in Michigan, USA), I was overcome with joy because winter had finally arrived! I wrapped myself up and made my way outside only to realise that the sun was shining down just as hard as it does in the summer, reflecting off the snow. So, what’s a ginger to do when they want to spend these cold months outside sledding, skiing, and snowboarding in the bright winter sunlight? Beware of the reflective snow, fellow redheads! If the sun is shining, even if the weather isn’t warm, our pale skin is still able to burn, so don’t neglect your SPF protection this winter. The sun may not be as strong as during the summer months, but those pesky rays are still a danger to your delicate skin. 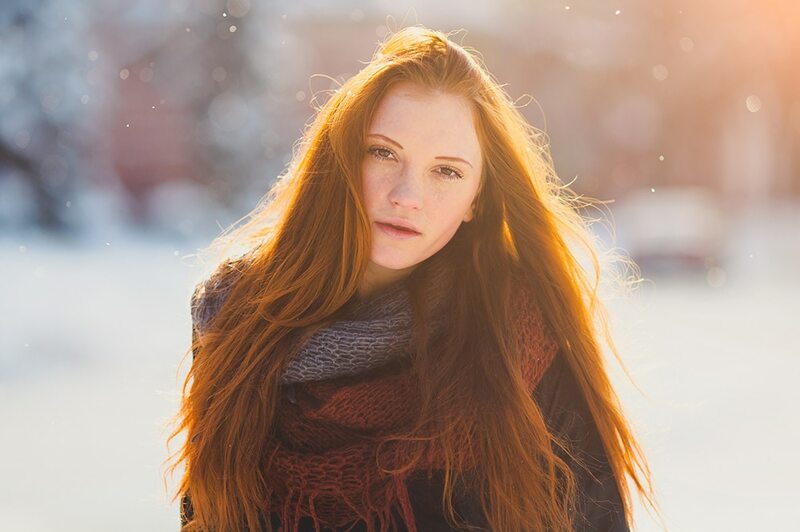 Redheads are at higher risk of skin cancer and wearing sunscreen year-round is the best form of protection if you’re planning on going outdoors – whatever the weather (yep, even if it’s cloudy). You may have thought that winter might put your SPF-wearing days on hold, but I’m afraid not. Keeping our pale skin safe and sound is a must so we can enjoy the pleasures of outdoor winter activities. Here are a couple of key products to help you through those crisp, sunny, winter days. This little lotion will come in handy on your fun winter excursions – it’s pocket-sized to make it easy to carry around with you! And with SPF 50 and water resistance, this baby is ideal for snowy weather. There’s a bonus, too: it’s ultra moisturising! I know, we’re too good to you. 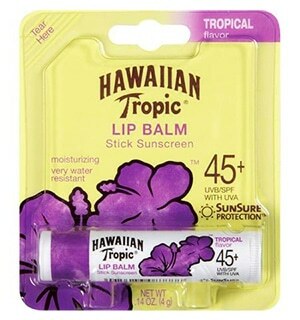 Your lips are extra-vulnerable during winter, as they’re at risk of both becoming chapped and sun burnt. This little number has SPF 45. Don’t let the winter sun fool you: it’s just as capable of burning you as the summer sunlight! Keep your skin safe while you enjoy all the fun activities winter has to offer. This chicken nugget and lollipop lover (not together, ick) comes to us from Michigan, USA.Aside from studying Communications, Emily is a plus size model, but she still finds time to overdose on celebrity gossip in between.Emily will be applying her incessant wit and sarcasm skills to all-round redhead-friendly subjects, with motivational confectionary in hand (and mouth).